Following the Traitor Empress to her new celestial throne. I have just crashed into London. Not the London nestled in the buttcrack of the UK’s south-eastern bulges, you understand; the London of Failbetter Games’ Sunless Skies, where Queen Victoria, the Traitor Empress, sits on her Throne of Hours. Victoria presides over a precarious empire within the High Wilderness, peppered with ports which you—an enterprising space locomotive captain—set out to explore. The crash came because I was drinking in the differences between the newly added industry-heavy Albion region and The Reach. The Reach is all about little outposts, each with their own character. From your top-down perspective, you guide your steam train across the expanse of space, discovering its secrets and luxuriating in reams of prose. The Reach’s main port is the central hub of New Winchester, but as you reveal more of the map you’ll find a wonderful variety of locations. These places don’t have fixed positions from playthrough to playthrough, but the less hazardous populate the inner circle of the map, within easier reach of New Winchester, and the more challenging sit in the outer circle, near the rim. The first port I find is a bucolic English village-themed place called Port Avon. It has a verdant green, cricket matches, talk of allotments and a steepled church. It conjures up memories of the Kent countryside where I grew up. In Port Avon the residents will tire of your presence so you must periodically restock a resource called Port Avon Welcome by hosting tea parties or bringing exotic gossip. Welcome is then spent on any number of activities—appreciating cider, reading speculative fiction at the pub, watching the cricket and so on. Each of these can alter your captain’s status or resources. Cricket helps reduce the Terror you accrue as you roam the High Wilderness. Fiction can bestow Sky-Stories or Tales of Terror which can be traded elsewhere. Cider reduces Terror (and cash). I’ve also popped by Port Avon to pick up a couple of costumes for some geese as part of a different questline and to check on limited-time bargains to help me fulfill requests made by denizens of other ports. Titania is entirely different. While Port Avon sprawls across grass-covered chunks of rock, Titania is an Art Deco flower, where gigantic pink petals contain the metal framework of a beautiful city. I crashed into Titania while distracted by its beauty. I’m nothing if not consistent. In Titania you find an ongoing tussle between three factions and a mayor whose attempts to keep the peace involve allowing you, an outsider, to make decisions so she doesn’t have to take the blame for siding with any one faction. Your decisions revolve around financing construction of the buildings the factions are lobbying for and then, I think, paying for repairs if a swarm of Chorister Bees descends on Titania and ravages its architecture. I funded the Library of Yore in the Bloom Bower district and am now waiting for the Grand Opening. The writing is a big part of forging these identities. Despite being someone who generally skips through screen text as much as possible (I often find reading in-game to be uncomfortable), reading everything from flavour text to significant story snippets has been such a pleasure. I’ll add a disclaimer here because I know some of the writers involved in the game. You might recognise the names too as it’s people like Meg Jayanth who wrote 80 Days, and Richard Cobbett and Cassandra Khaw, who have written for PC Gamer—although I don’t know which sections they contributed to or how much. The identity of the ports also bleeds into the surrounding space. This helps with navigation as you start to recognise markers and build up a mental map. Sunless Sea generated a similar feeling but the way that game cultivated familiarity was often through having you repeat journeys and keeping you on a far tighter leash, risking your playthrough if you went too long without returning to the central location. The end result was a sense of areas around ‘home’ which you knew well and which felt safe and even mundane, but the process of getting there could tip over into tedium as it was repetitive and often curtailed exploration. Sunless Skies is benefitting from those lessons learned in Sunless Sea. In New Winchester I can access a bank vault where I can store inventory and pick it up again from a bank branch in a different region. In the Early Access version I’m also rarely at risk of running out of fuel or supplies, which makes it easier to indulge my desire to explore a little more before I need to stock up. That’s not to say there’s no tension to exploration – I keep a watchful eye on my Terror-meter, especially in the outer rim areas – and the limited space in my hold means I do need to constantly check in on my fuel and supplies as I chuff from location to location, regularly topping those up rather than being able to stockpile them. Obviously this might all be rebalanced as the game heads towards a 1.0 release, but right now it’s a far more pleasant way of experiencing the world. Danger came when I decided to engage what I thought was a mining vessel in combat and which turned out to be a tentacled monster from the realms of cosmic horror fiction, rather than, for example, slightly misjudging the micromanagement of resources. Encountering Albion has been a curious experience. The distinct areas of The Reach suddenly seem like delicate hamlets in the face of London’s mechanical sprawl or the smog-wreathed, time-warping tangle of Brabazon Workworld. There is also more debris to navigate, making fuel consideration more of a concern as you’re unable to forge ahead in a straight line to your destination. This is where the tentacle monster turned up. I’m thinking I should finally invest in some more effective firepower for my space train, rather than relying on the starter projectiles and initial grapeshot-esque options. The uptick in peril has been accompanied by an opening out of the storylines. Instead of pottering about with goose clothes (although I do still need to drop those off at some point), I seem to have become an MP and I’m being asked to make more meaningful decisions about whether I want my current captain to support or defy the rule of Empire. So far my captain hasn’t actually died (I’m as surprised as anyone) but when they do, I’ll be able to pass on some of my resources to a successor. My behaviour with my current captain will also leave a lasting impact on the region and its conflicts so the idea is that future captains will have to navigate the legacy of your previous actions. Without a good deal more time to tinker with that system, I can’t say how pronounced those effects are or how it might impact play, but it’s an interesting idea to keep in the back of your mind. If it ends up making a noticeable difference it will help guard against the sense of an individual captain’s life as being inconsequential, which can be a hazard in roguelites and roguelike-likes. There are two more regions to come before the game emerges from Early Access in September, as well of a host of other additions and adjustments. Combat will also likely change as AI improvements, a new HUD, more weaponry and adjustable difficulty are all on the horizon. As a result, I don’t think it’s a good idea to be more granular in this assessment. 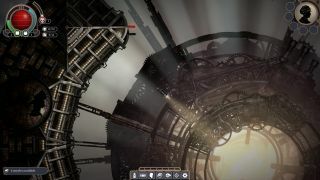 As a general sense of Sunless Skies, the game feels like it’s on the right track. The developers have clearly learned from Sunless Sea feedback and adjusted the core loops without losing what was magical about the Fallen London universe. Experienced players will feel right at home and newcomers will, I think, find their feet quickly based on what I’ve played at this point. One piece of advice, though: I think the improvements in Sunless Skies will make it hard to go back to Sunless Sea without it feeling like a slog, so if you’re intending to play the latter I’d dive in before Sunless Skies comes out.